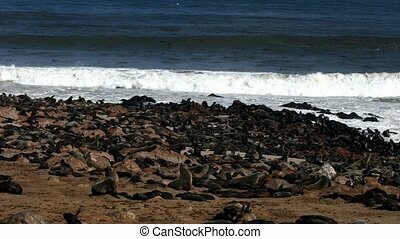 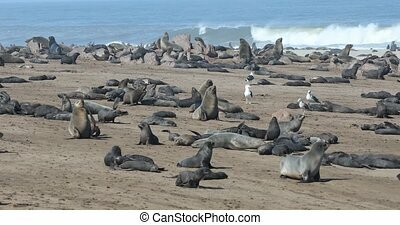 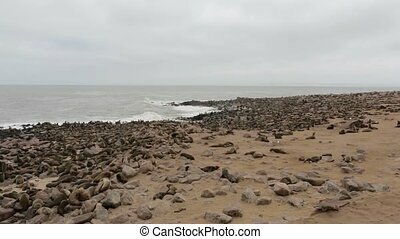 Brown seal colony in cape cross, africa, namibia wildlife. 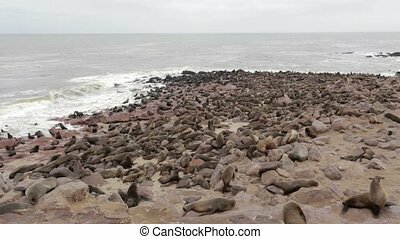 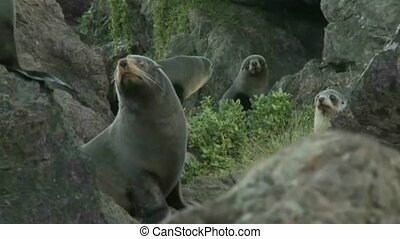 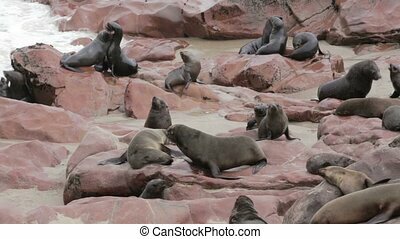 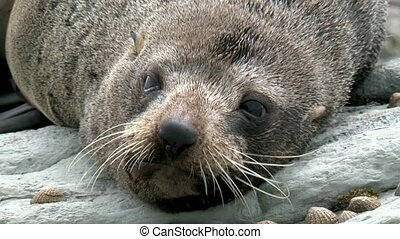 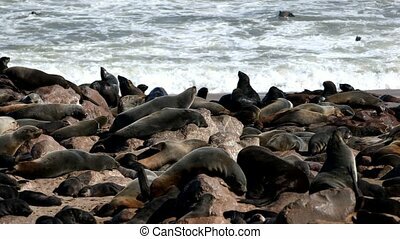 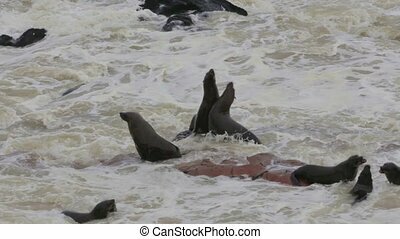 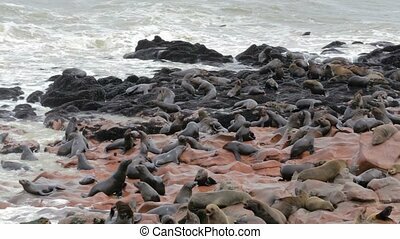 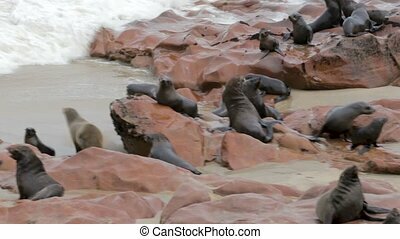 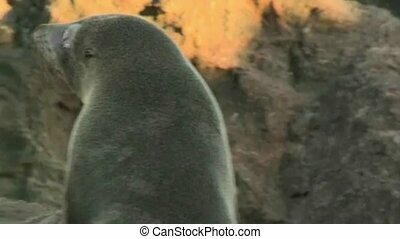 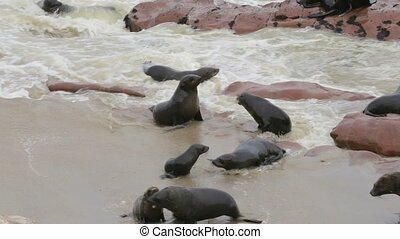 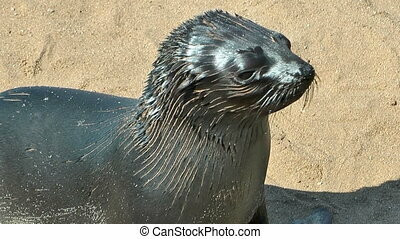 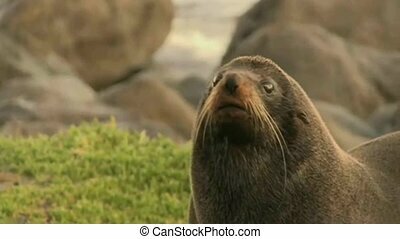 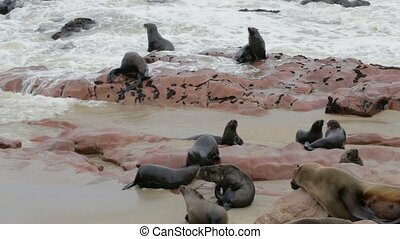 Brown fur seal in cape cross, biggest colony in the world, africa, namibia safari wildlife. 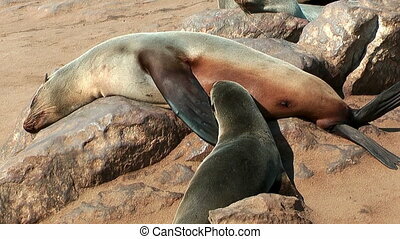 South african fur seal feeding her baby with milk. 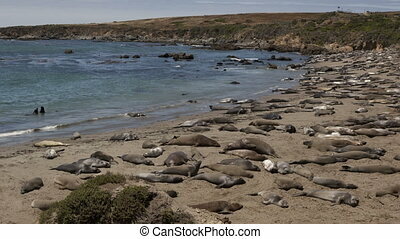 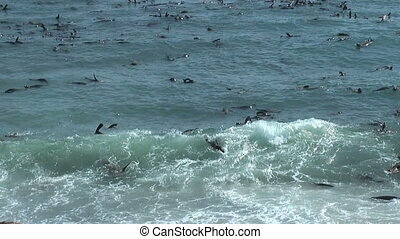 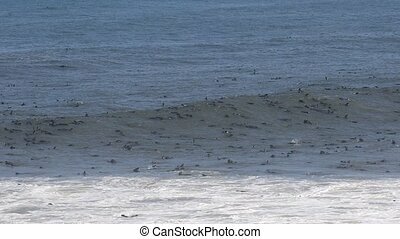 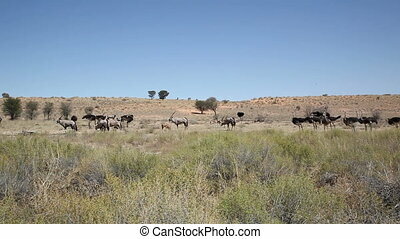 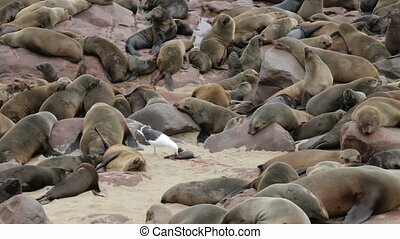 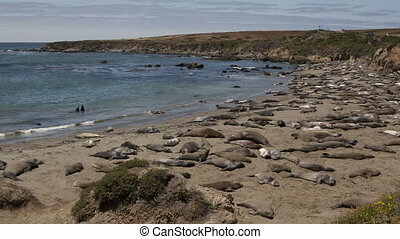 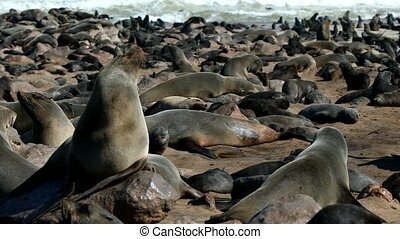 Shot at cape cross seal reserve in namibia africa, where a colony of about 150000 seals is present.